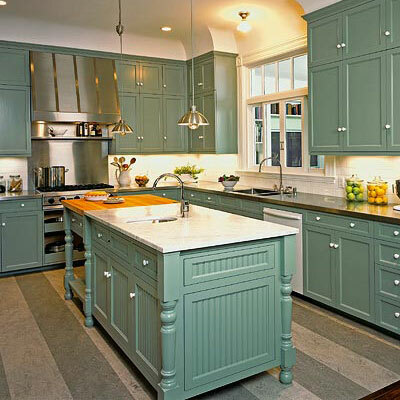 Following the bedroom, the kitchen is the second-most important room in a home environment. This is the area where cuisine is created and devoured with your luxurious cream handled cutlery, where coffee percolates in the morning, and where loved ones come together socially. 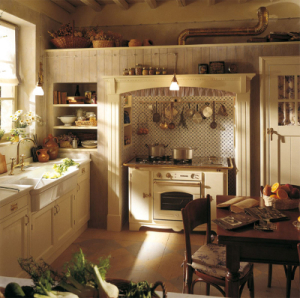 A kitchen is more than just a room where food is prepared; it is a place where memories are created. The Stove. The stove, or hearth, is considered to be the place where all food for the family originates. To encourage wealth and prosperity in the home, the stove and oven should be kept clean, and all burners and oven used on a somewhat regular basis. 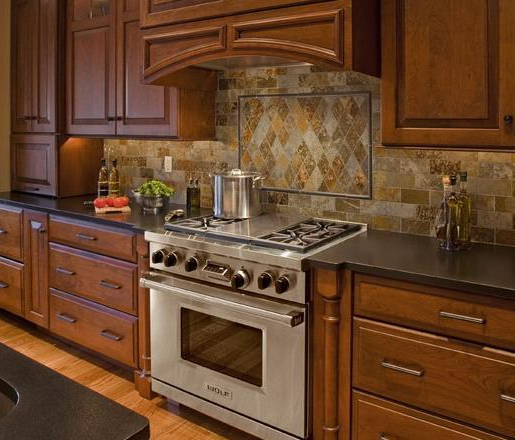 Even if one loathes to cook, use each burner and the oven at least once a month. (heat a pizza, boil water, any kind of cooking will do). Remember, keep the stove clean. The Fridge. A good feng shui refrigerator should be kept clean and organized. 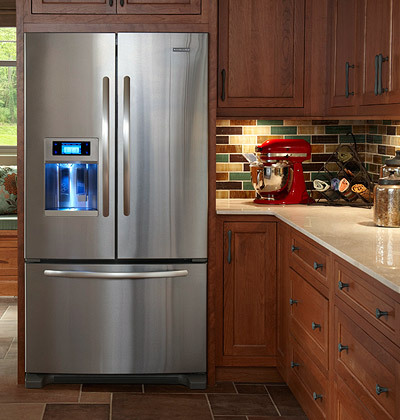 A fully stocked refrigerator that is clean attracts wealth and abundance to the home. If anything has gone bad, throw it out immediately. Also, check the expiration date on your condiments. If the catsup or soy sauce expired three years ago (or more), toss it out. This is needless food clutter taking up space – and it could make one sick if ingested. Also, avoid having too many magnets on the fridge; this can also be clutter. If your fridge has a water dispenser, the filter will likely need to be replaced before long. Best Products Pro have a list of filters for you to consider when it comes to buying a new one. The Sink. Kitchen sinks should be kept in clean and good,working order. If there is a clog or leak, get it repaired as soon as possible. If there is a disposal, make sure it works properly. The same goes for other attachments as well (soap dispenser, faucet sprayer, etc). The Appliance Triangle. 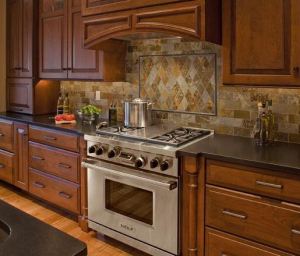 For an ideal flow of energy, the three main attributes in the kitchen – stove, refrigerator, and sink – should form some kind of triangle from each other, and ideally should not be directly next to each other, but have some counter space in between. If, in the rare case that all three are in a line in your kitchen, add some earth and wood elements on the counter space in between (such as plants, green jars, butcher block, cutting board, etc). Islands in the Stream. 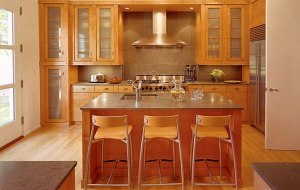 In houses and larger condo-esque dwellings, modern kitchens are known for having an island, a built-in part of the counter that is detached from the wall. These are either in the middle of the kitchen, or used as a divider from another room. In addition to providing more counter space, this island helps to create a more engaging atmosphere. This way, those prepping and cooking in the kitchen can be social with their guests at the same time. 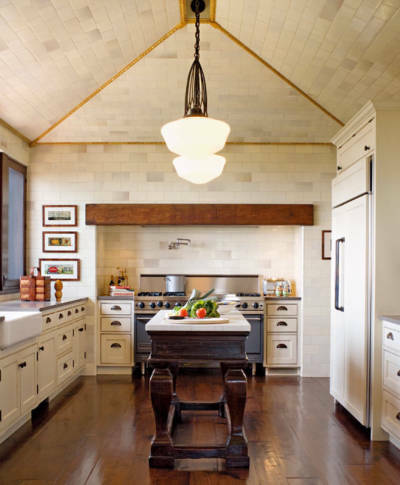 If you have a kitchen with no island, but room for one, consider placing a large table, or build your own freestanding island, in the center of the space. 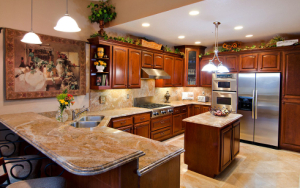 Islands are highly beneficial for the home. Microwaves. This is a large topic of debate in feng shui circles. Many consultants and practitioners feel that microwaves should never be used, due to the radiation and EMFs (electromagnetic fields) that are omitted when in operation. I don’t agree with this. First, I don’t feel it’s practical; most people use microwaves, and they save hours per week in cooking time. Secondly, it’s convenient in making cooking easier, which is a good and prosperous thing. However, like the stove, it’s highly important to keep the microwave as clean as possible, both in and out. Clutter and Counter Space. Avoid having too much exposed clutter dominating the counter tops. 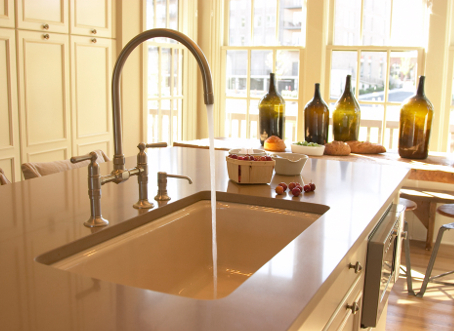 Keep the surfaces clean on a regular basis. If you must store things in plain sight, make it look good with decorative jars and tins. The same goes for exposed shelving. Park Pantry. Like the refrigerator, keep the pantry and cupboards clean and full. 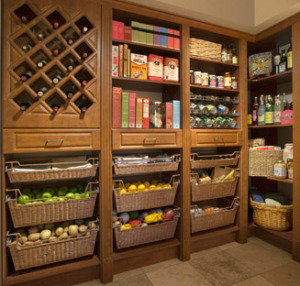 A well-stocked pantry attracts prosperity to the environment. And, like the fridge, use the food in your pantry. Don’t save it until it’s past the expiration date. Use it and enjoy. Appropriate Colors. 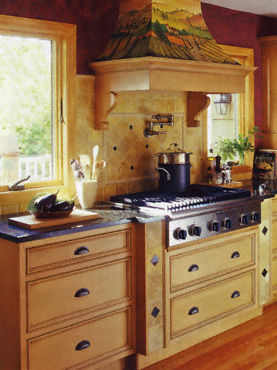 There are many different colors that are ideal for kitchens, including shades of yellow, green, gray, white, rust, and brown. A little blue in a kitchen is fine, but not too much. Blue is considered an unappetizing color, and will make people not want to eat or prepare cuisine in a blue environment. Blue can also make a kitchen look cold rather than cozy, so use it sparingly. 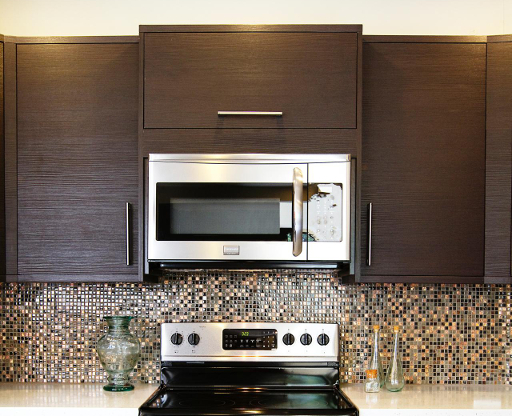 You can use a lot of different materials on the kitchen walls and floor, from kitchen walls panels by Principality Plastics Warehouse to tiles to laminate so it is important that you keep it the same color and material throughout the kitchen. No Red in the Kitchen. 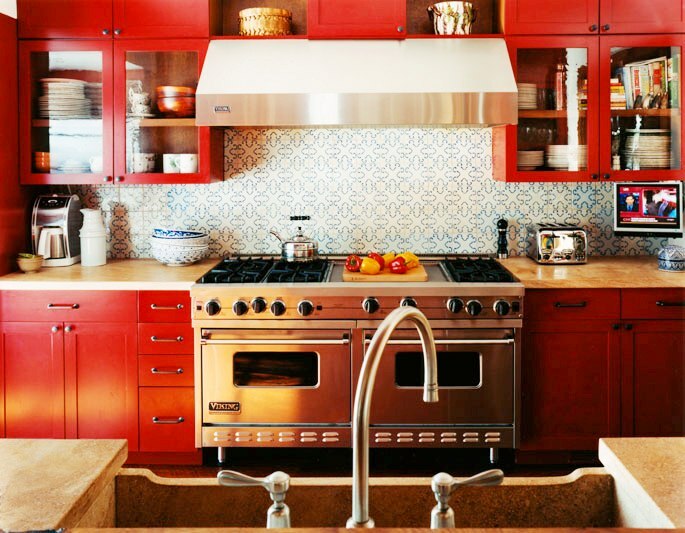 Red is one of my favorite colors, but it has no place in a kitchen. 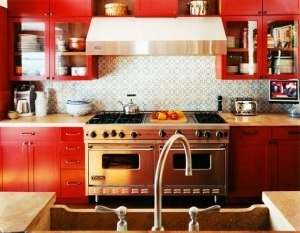 The hue is symbolic of the fire element, and the stove (and microwave) already provide more than enough fire energy for the room. Same goes for appliances. Avoid purchasing a ruby fridge or red microwave, as too much fire can cause financial difficulty and arguments. Smaller accent items are fine, however. Art de Cuisine. 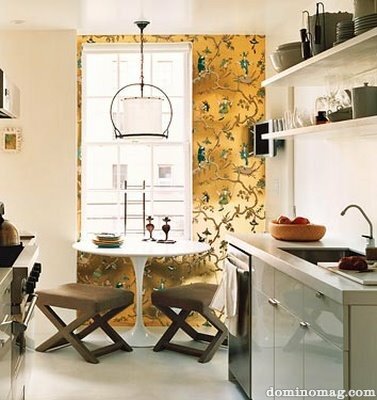 Kitchens should have artwork as well, especially if there is a lack of windows and natural light. The art selected should be food, wine, or dining related, or unexpected and elegant. Avoid art connected to death or dissection, as this will literally ruin a person appetite. The kitchen is the source of nourishment for the home, but it is also so much more. It’s the room where loved ones come together to share in preparation of meals and reconnect throughout the day. Incorporate the suggested tips above, and more happiness, peace and prosperity (especially for the holidays) will be sure to follow. This entry was posted in Color Feng Shui, Feng Shui and Art, Feng Shui DIY, Kitchen Feng Shui, Texture and Shape and tagged abundance, appliance triangle, art, blue, burner, butcher block, cleanliness, color, condiment, cooking, counter top, cream, cuisine, dining, earth, existing kitchen, expiration date, fire, freestanding, fridge, green, island, kitchen, kitchen island, KitchenAid, Kohler, magnet, Michael Graves, oven, pantry, plants, prosperity, red, refrigerator, sink, social, stove, water, wealth, wine, Wolfgang Puck, wood, yellow. Bookmark the permalink.